The episode has two parts: first is the interview with Trevor, second is recorded audio from Trevor's speech at Amiga Ireland MeetUp 2017. Audio quality is not so perfect, but it's worth to listen. From this episode, you will learn about near future of AmigaOne and AmigaOS. There are tough questions and we are talking about: AmigaOne X5000 and upcoming Tabor (already running AmigaOS and software). Of course, there is a topic like web browsers (Odyssey and Timberwolf), office stuff (LibreOffice), Hollywood book, AMIStore and Alice (laptop) project. 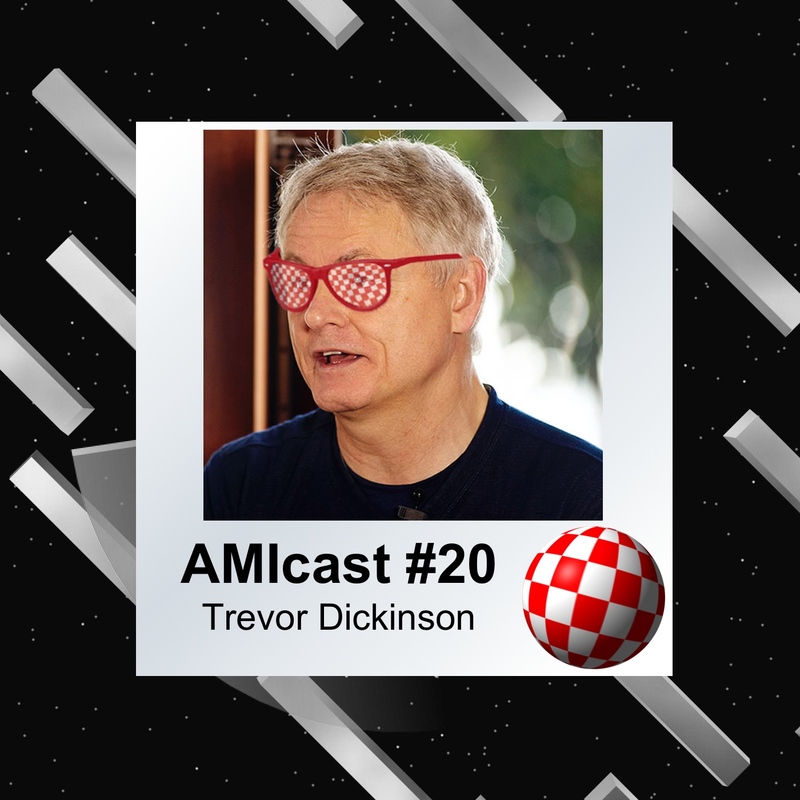 In second part Trevor talks about his Amiga story and answering questions from the audience, about: new developers, new hardware, software (for AmigaNG and Classic) and a situation with Amiga Inc (and Commodore). For the second part of the episode, there is video available on YouTube from Amiga Ireland Channel. At the end, the great song by Moby, from the album: Amiga Days (Remasters) - Volume 3 - Impact23.